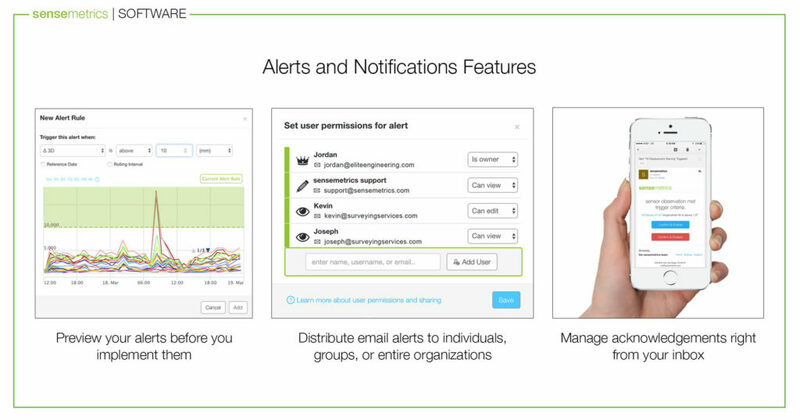 sensemetrics continues to expand the features and functionality of notifications and alerts on our platform. -Quickly preview alerts before enabling them. -Easily manage sharing of alerts with users, groups and organizations. -Effortlessly manage your alerts on your mobile devices. With new event driven responses, automatically throttle up sensor measurements when performance thresholds are exceeded. Rely on a platform that will do the hard work of providing access to the sensor data you need, when you need it.